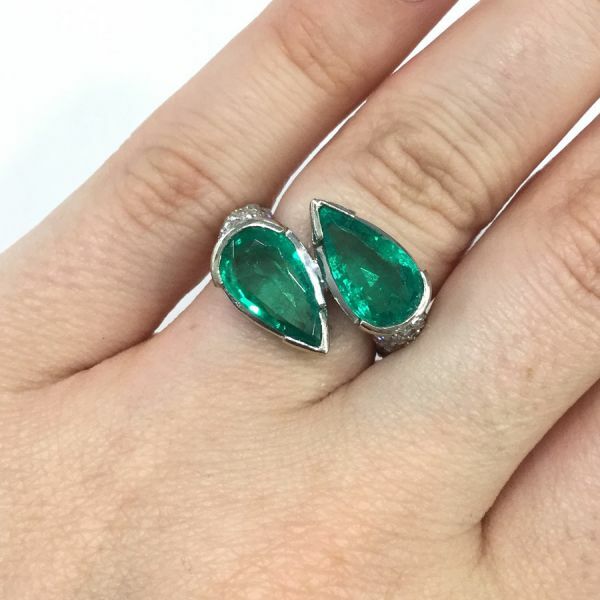 A beautiful vintage 14kt white gold Toi et Moi ring, circa 1950, with 2 pear facetted cut medium green emeralds, est. 3.84ct nd 40 round brilliant cut diamonds, est 1.50ct (clarity: VS & H-I colour). 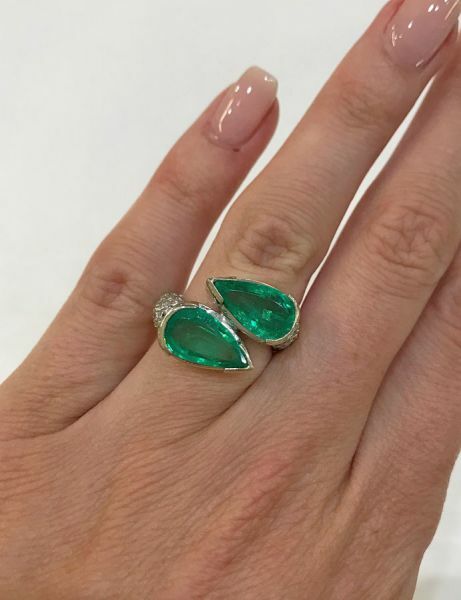 Pleae make an appointment to see this stunning ring.